"There were a lot of customer requests to offer a little bit larger vehicle," said Smart USA President Jill Lajdziak. DETROIT -- Smart USA, battling plunging demand for its sole U.S. car, says it has reached a deal with Nissan Motor Co. to sell a five-door gasoline-powered small car in the United States next year. 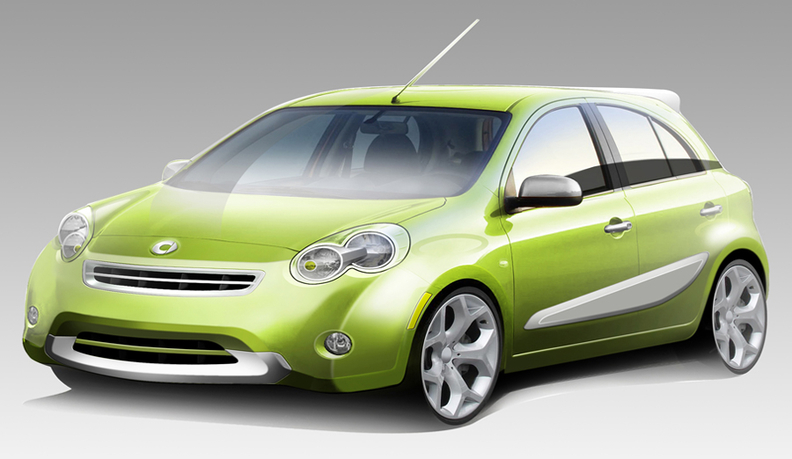 The so-called B-segment car will go on sale in the fourth quarter of 2011, Smart said in a statement today. "There were a lot of customer requests to offer a little bit larger vehicle," Smart USA President Jill Lajdziak said in an interview. The new five-seat vehicle will compete with Honda Motor Co.'s Fit in the growing U.S. subcompact vehicle segment, she said. U.S. sales of Smart's only model, the Daimler-built ForTwo two-seat minicar, peaked at 24,622 in 2008, the year of the brand's U.S. introduction. Gasoline prices for much of that year topped $4 a gallon. ForTwo sales plunged 41 percent last year as the economy collapsed and gasoline prices fell. Through September, sales are down another 62 percent this year, to 4,779. Smart is a unit of Penske Automotive Group, the nation's second-largest auto retailer. The new car will be built on a new global platform in one of Nissan's factories in the Americas, Nissan spokesman Dave Reuter said. Nissan currently is developing two vehicles to be sold for about $10,000 each in the United States, Patrick Pelata, Nissan's chairman for the Americas, said in January at the Detroit auto show. Those models will be produced in Mexico on the automaker's new global V platform that will also be used to replace the Micra subcompact sold outside the United States. The Micra is almost two-feet shorter than the current Versa. Those unnamed models will be smaller than the Versa -- the smallest vehicle Nissan currently sells in the United States -- but the Versa also will move to that platform for the 2013 model year. In all, three models will be produced on the platform, with sales also planned for Central and South America. At least one of the models will have a three-cylinder engine. • Daimler's Smart brand will get new products jointly developed with Nissan and Renault for the 2013 model year and beyond. • U.S. retailers will see a next-generation Smart ForTwo two-seater. • There also will be a Renault-built four-seat Smart -- including an electric version -- developed for Europe, but that may go to U.S. retailers as well. 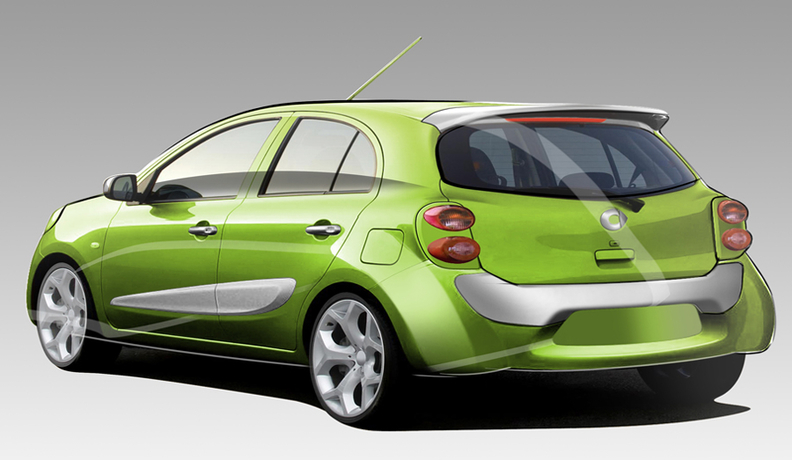 • The next Renault Twingo will be built off the same architecture, although not for the U.S. market. The Smart version will retain its current rear-wheel-drive design. • The partnership will supply Mercedes' next-generation B-class front-wheel-drive family car. But Daimler CEO Dieter Zetsche said the joint development will mean reduced costs that could make it feasible to begin selling the B car at U.S. dealerships. Dealers welcomed the news -- and predicted their customers would, too. “We have had a lot of requests for a larger Smart vehicle since 2008, and we're very excited to carry the new 5-door version along with the current model,” said Shane Reed, general manager of Michigan Smart Center in suburban Detroit. Eric Patterson, general manager of Texas Smart Center in Round Rock, Texas, said the vehicle would open the brand up to "a whole new group customers." "We've had customers who were fans of the original Smart say they wished they could take their kids in the vehicle," he said. "It's good to see that becoming a possibility."